The social networking company now wants to become a place for anyone to build applications for social computing. Fortune got an inside look. NEW YORK (Fortune) -- Facebook may turn out to be a lot more important than any of us thought. It has just launched a major change in its strategy that will transform its role in the Internet ecosystem and could create a raft of new opportunities for companies of all sizes. The short version is that Facebook is taking its two major assets - its 24-million-members (growing at about 150,000 per day) and its strong technology underpinnings - and making them available to all comers. "We want to make Facebook into something of an operating system so you can run full applications," Zuckerberg told me, saying it would be analogous to the platform that Microsoft Windows provides for developers. Outsiders can now develop Internet services on Facebook's infrastructure, he explains, that will have full access to all its members. Just as it is when someone writes a program for Windows, programmers won't need any permission from Facebook or any special business relationship with the company. This is likely to result in an explosion of creativity. In addition to its basic features of a profile, a friends list and tools to communicate, Facebook today gives all members access to six mostly modest applications on the left side of its home page - Photos, Notes, Groups, Events, Posted Items and the classifieds service it launched last week called Marketplace. It also launched a very cool video application Thursday. But also today 65 partner companies unveiled more than 85 additional applications that members can install immediately. This programs include an application from iLike that allows you to find friends who share your musical tastes and even connect with them at concerts, and a version of Digg's Internet-story-rating system. Microsoft (Charts, Fortune 500) is launching several new products that enable application developers who use its tools - including a new tool for programming novices called PopFly - to create Facebook services and links between Windows applications and Facebook. Non-Internet companies launched new applications, too. The Washington Post created a "political compass" that allows you to exactly calculate your place on the political spectrum and compare your views to those of your friends or other Facebook members. And Red Bull launched Red Bull Roshambull, a Facebook version of the old schoolyard game rock, paper, scissors, which members can install on their profile page. From here on it will be wide open. Anyone will have access to Facebook's so-called "markup language," which is intended to be usable even by those with rudimentary programming skills. So kids in dorm rooms will be able to create simple applications to coordinate TV-watching or trips to the cafeteria with their friends. And some creative amateur coders are likely to come up with amazing new things to do inside Facebook. Companies, too, will find many ways that Facebook applications can improve productivity and collaboration. The company will impose no limitations on what kinds of applications others can create, except that they be legal. Says Zuckerberg: "They can sell sponsorships, they can have ads, they can sell things, they can link off to another site - we are just agnostic." He promises that Facebook will not give its own applications any special privileges or exclusive access to its members. Behind the change is an epiphany Zuckerberg and colleagues had after the company launched its own photos application back in 2005. Though it lacked many features of other online photo sites, it almost immediately garnered the most traffic, by far. The reason, Zuckerberg concluded, was that Facebook members could quickly learn when friends uploaded new photos, so they looked at more of them. He says he realized that Facebook's primary value as a service is in the relationships between members it documents and maintains, not the specific applications it offers. Last September, Facebook created controversy when it introduced its "News Feed," an automated method for telling members what their friends are doing and how they are changing profiles or adding new material. Despite vociferous initial protests from members, the News Feed feature has now been almost universally accepted. 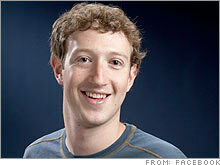 Zuckerberg says the News Feed is a key foundation that had to be in place before launching the new platform strategy. Now Facebook will offer applications partners a platform, and members a tool, to tell one another which applications they are installing and using. So not only is it offering those who write new applications a platform, but also a distribution method. I expect other social networks will also seek to turn themselves into platforms for social software. But with its new technology strategy Facebook takes a big leap beyond competitors, including MySpace, which remains the monster of social networking, with about four times as many users. There's plenty more to tell, so read the full account here or watch my interview with Zuckerberg.